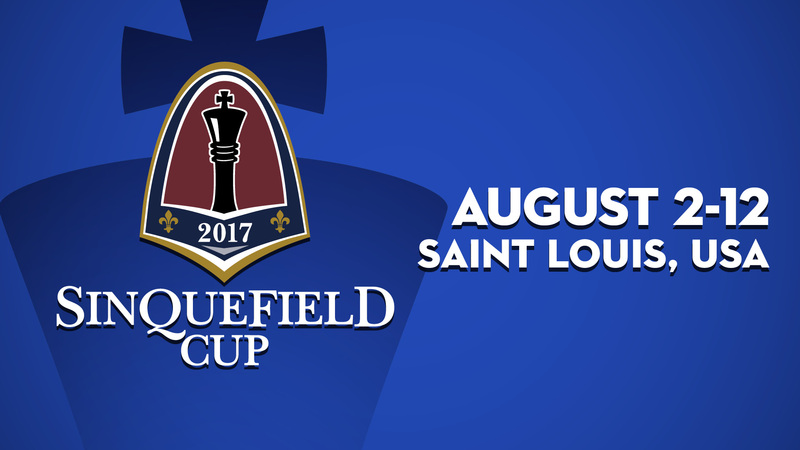 The standing tradition of the Sinquefield Cup of no repeat winners remained as Maxime Vachier-Lagrave emerged as the winner of the 2017 tournament! 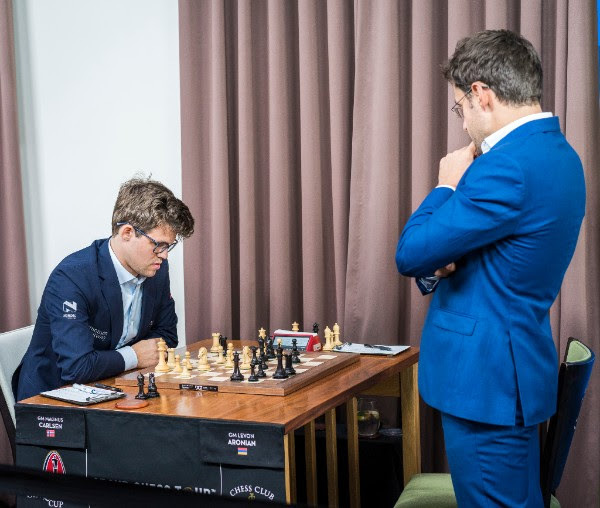 Entering the round, the eventual winner was tied with Viswanathan Anand and Levon Aronian with Magnus Carlsen and Sergey Karjakin just half a point behind them. 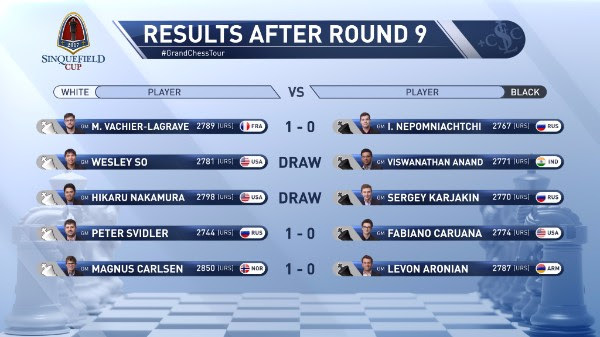 The day started off well for the Frenchman as Anand had a quick draw against Welsey So, while Aronian was already suffering in Carlsen’s hands. 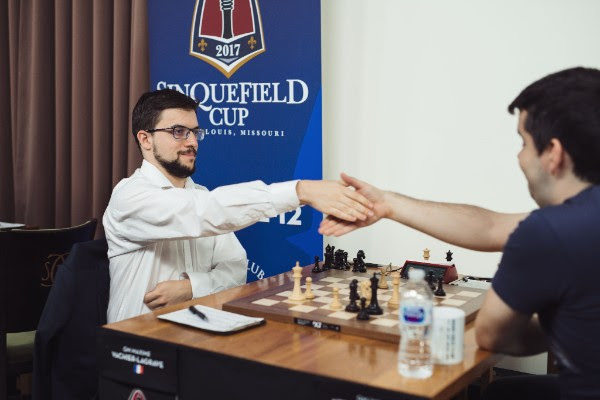 Vachier-Lagrave did his part by converting his advantage against Ian Nepomniachtchi on the white side of the Najdorf. He was officially crowned the winner once Aronian accepted the inevitable and resigned. 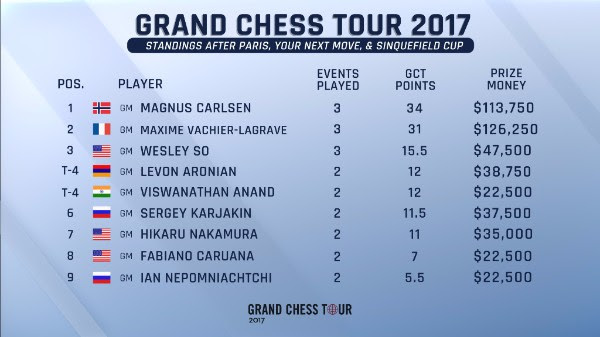 For his efforts, Vachier-Lagrave collected $75,000 and 13 Grand Chess Tour points. 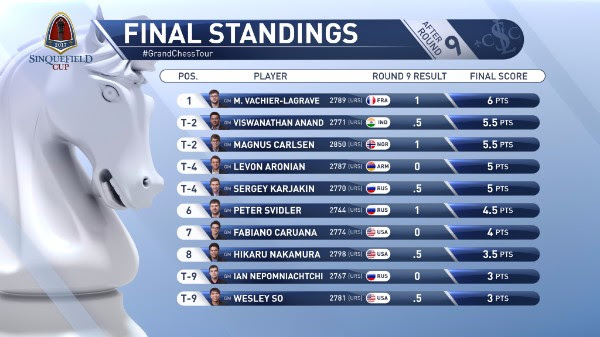 He is now only three tour points behind Carlsen in the overall standings. For once, Vachier-Lagrave was facing the Najdorf instead of playing it with the black pieces. He played a very instructive game where he had a very classical example of a good knight against a bad bishop after exchanging all the right pieces. He converted masterfully as his opponent never got the chance to even make a threat or hope to defend his position. 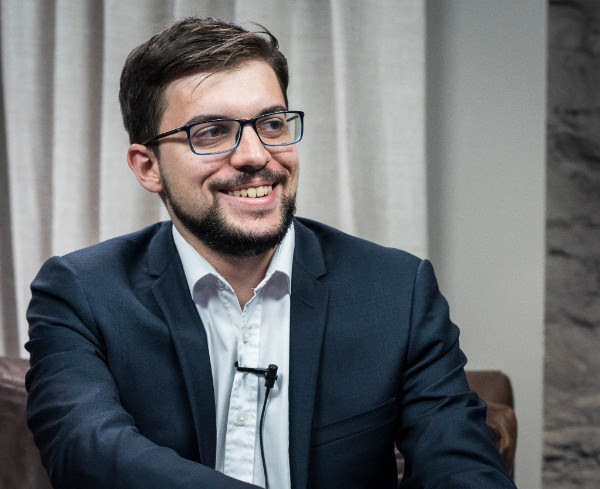 This important move also moved Vachier-Lagrave to the number two spot on the live rating list. 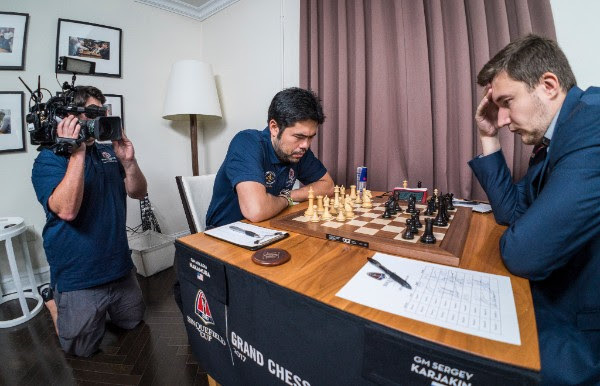 The Armenian Grandmaster’s dreams of winning were destroyed as his opponent played a high-class game. Aronian tried to create an imbalance in the position by changing the pawn structure to get activity. Carlsen defended against his opponent’s threats and the resulting position was simply advantageous for him. Black’s position fell apart as he had too many weaknesses and no real counterplay. This was truly a heartbreaking way to end the tournament for Aronian who had played creative and inspiring chess throughout tournament. 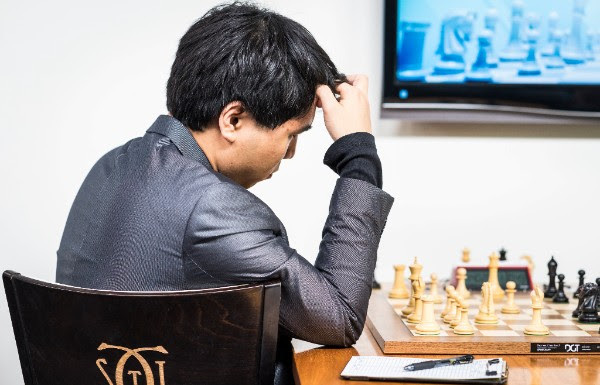 The American had a disastrous tournament and it was clear that he simply wanted to play a solid game and end the tournament. He got a nice advantage in the middlegame but did not put any pressure on his opponent. It was an unfortunate situation for Anand who needed the win as Vachier-Lagrave had the white pieces and a good chance to score a victory. In the postgame interview, Anand was in good spirits and felt good about his overall tournament. After his win yesterday, Karjakin had some mathematical, albeit unlikely, chances of still tying for first. Nakamura played an enterprising and quick b4 in a relatively new variation of the reverse Sicilian English. Karjakin had to find some precise moves to equalize the game as he found his bishop quite offside. However, once the bishop was retrieved, the Russian considered he had no problems. The logical conclusion led to massive exchanges and the draw. The opening of the game was offbeat, and the players found themselves in uncharted territory quite quickly. 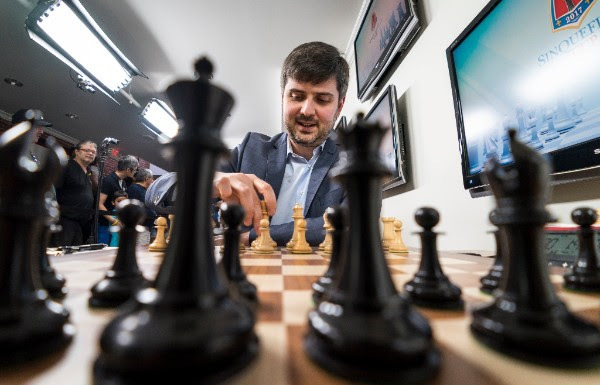 Svidler was ahead in development and played precisely to keep his advantage. In a critical moment, he shied away from sacrificing a piece and admitted in the confession booth that he probably should have gone for the complications. His intuition was correct as the sacrifice would have ended the game before move 30. He went on to win the game anyway, as he still had a slight advantage and Caruana’s poor form did not allow him to put up a tenacious defense to bring home the half a point.